On more than one occasion, a female patient will shrug and wonder out loud how strategically placed needles made her have a period. It is a great question. As an acupuncturist specializing in reproductive medicine, I see a lot of women with irregular periods or no periods at all. To address this, I focus my treatments on regulating their menstrual cycles. And if you are trying to build your family, regular periods are essential to getting pregnant naturally. First, a quick biology lesson. Women are able to have periods because they possess a vital and powerful organ: the uterus. The uterus is lined with endometrial tissue that thickens and then sheds in response to hormonal changes. Shifts in hormones are driven by a feedback loop between the brain, the ovaries, and the uterus. Each cycle when the period starts, hormone levels are at their lowest point, which signals the deep brain to initiate the process of helping an egg to mature in the ovary through the release of Follicle Stimulating Hormone (FSH). An egg within the ovary responds to FSH and begins to develop, releasing estrogen. Estrogen levels increase as the egg develops and activates thickening of the uterine lining. Once estrogen reaches an optimal level, it triggers the brain to release the hormone to trigger ovulation. The egg explodes from the ovary in response to a pulse of Luteinizing Hormone (LH) and leaves behind a small cyst that releases progesterone. Progesterone helps to keep the lining thick and able to support conception, should an embryo implant. If conception doesn’t occur, the progesterone releasing cyst will begin to dissolve, progesterone levels will drop, and the lining will begin to shed shortly thereafter via the menstrual period. As you can see, there are many places where the cycle can go awry and disrupt the frequency of one’s period. If an egg doesn’t develop, then ovulation and uterine lining development are thwarted. If there’s no ovulation, then there will be no period. Ensuring these important stages of the cycle happen are vital to regular cycles and fertility. Here are three ways in which acupuncture can help you have regular periods. As noted above, several hormones ensure the regular periods. One way acupuncture, also known as dry needling, can assist with regulating periods is by regulating the feedback loop between the brain and the ovaries, also known as the Hypothalamus-Pituitary-Ovarian (HPO) axis. If the hormones are balanced, then the HPO axis will function properly, ovulation will occur, and menses will follow suit on a regular interval. Studies found acupuncture reduced FSH and reduced elevated levels of hormones that block ovulation. One of the ways acupuncture can support hormone regulation, and its ultimate impact on hormone balance, is by improving ovarian and uterine blood flow. High levels of stress and aging can decrease the flow of nutrient dense blood to the reproductive organs. Acupuncture calms the nervous system and causes the blood vessels to dilate, thereby increasing the flow of blood. Well-nourished ovaries function more efficiently. And, adequate blood flow to the uterus ensures the endometrial lining is able to grow to an appropriate thickness to allow for menses. 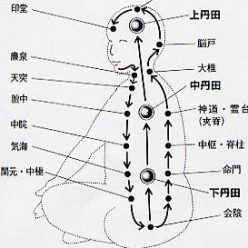 As noted above, acupuncture regulates hormones and improves blood flow to the reproductive organs, which leads to a cascade of other effects. When the hormones are balanced and blood is flowing openly to the ovaries and uterus, then acupuncture can support ovulation to naturally occur. Further, with the HPO axis communication open, the ovaries will then support the maturation of an egg, ovulation will naturally occur, and ultimately menses will follow 14 days later if there is no pregnancy. Your period will become more regular with acupuncture. It truly boils down to better blood flow and hormone regulation that leads to regular periods. To see these improvements, a general course of acupuncture treatment to regulate periods is three cycles. 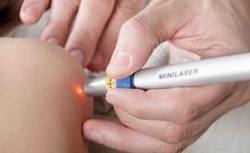 Sources: Lee Hullender Rubin, DAOM, LAc, FABORM is an international leader in fertility acupuncture and Chinese medicine. She is licensed acupuncturist, herbalist, and clinical researcher specializing in reproductive medicine and female sexual pain. She is on faculty at several institutions and practices in Portland, OR, at the Portland Acupuncture Studio and Oregon Reproductive Medicine.